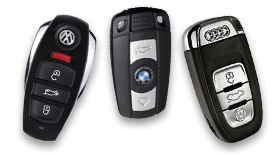 Houston Auto Key Services - Our auto key services include key cutting, auto key programming, lost auto keys services, auto replacement keys, spare auto key creation, and several other auto lock and key issues. We also have a large array of key blanks for a large variety of models. We have an auto technician that can help with any of your locksmithing needs. Car Key Cutting - If you’ve lost your keys or just need a duplicate set made, let Keys 4 Cars in Houston, TX help you. We are able to cut keys for any types of car or vehicle including motorcycles, vans, or SUVs. Key Laser Cutting - Laser cut car keys can be expensive since they are usually used for high-end car manufacturers. However, Keys 4 Cars in Houston, TX offers affordable laser cutting services for any vehicle. 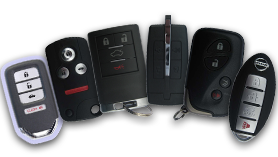 Remote Key Replacement - If you have a broken or lost remote key, we offer remote key programming as well as key replacement. We offer competitive and affordable prices in the Houston, TX area. We work with you to save you time and money. Transponder Key Programming and Replacement - If your transponder key lost or broken, Keys 4 Cars can replace yours. Our transponder key services include ignition key replacement and programming as well as switchblade key replacement.Transponder key services include ignition key replacement, ignition key programming, and any type of car key replacement and programming including switchblade key replacement or any replacement car key if yours happens to be lost or broken. Emergency Locksmith - We offer 24/7 locksmith auto service in the Houston, TX area. If you are in an emergency situation, our technicians will come to your rescue. Our staff is trained and prepared to offer you the best service. Don’t be left waiting on the side of the road again. With our 24/7 roadside assistance, we serve the greater Houston, TX area. Our on-call emergency locksmith will quickly come to your aide. We offer services such as towing, flat tire assistance, fuel delivery, and of course, lockout assistance. Locked Keys in Car - If you have locked your keys in your vehicle, we can be there to provide you the help you need quick. We have the latest car picking tools that will not harm your vehicle but will get you back on the road in no time. In the case, that a key needs replaced we offer on the spot key cutting as well for opening your trunk, replacing locks, or remote auto key replacements. 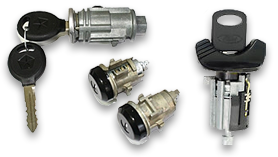 Ignition Repair - The ignition is the port your key enters or the push button pressed to start the engine. If your key is locked into or broken in the port or if the push button no longer works, we can troubleshoot the problem and then solve it. Locked Out Service - It doesn’t matter if you’re locked out of your car, truck, or SUV, we have the latest car picking tools that will not harm your vehicle and will get you back on the road in no time. We also offer on the spot services such as key cutting, replacing locks and remote auto keys, and trunk unlocking. Slim Jim - If you prefer use to use a Slim Jim to open your locked car, no problem. We have a wide selection of Slim Jim tools to come to your rescue. Trunk Unlocking - One of professionals can help you unlock your trunk without any damage to your car. Our locksmiths use high quality tools to disengage your lock. We know which tools are suited for different vehicles so we can effectively and safely unlock your trunk without any hassle.